This property is 1 minute walk from the beach. 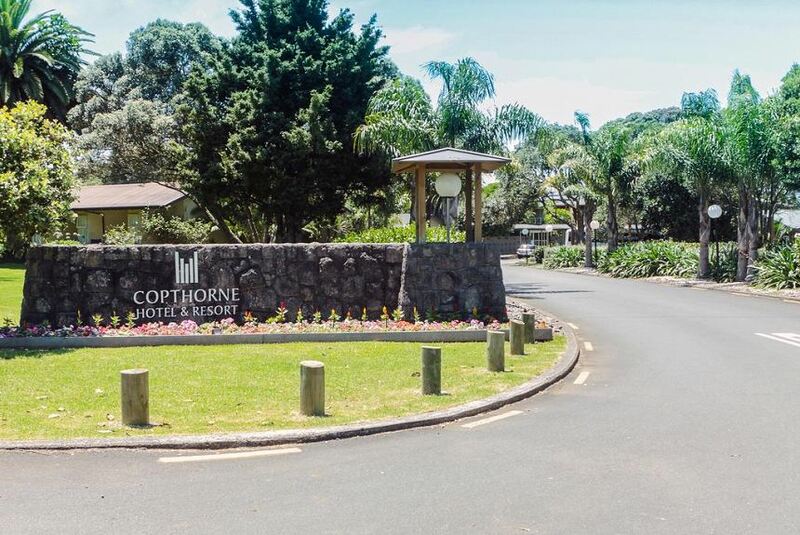 The 4-star Copthorne Hotel & Resort Bay of Islands offers an amazing location next to the historic Waitangi Treaty Grounds, a 20-minute drive from Keri Keri Airport. Guests enjoy 2GB of free Wi-Fi for 24 hours. Copthorne Hotel is a 3-minute drive from Paihia's town center and the main wharf and a 7-minute drive from Haruru Falls. This waterfront hotel and conference complex offers pleasant, well-equipped rooms and suites, all with views of either the waters of the Bay of Islands or the hotel's peaceful gardens. Being really close to a scenic golf course, native bush walks and some of the best big game fishing sites in the world, this is an ideal location to explore this wonderful area. Onsite facilities include a tennis court, spectacular free form lagoon style swimming pool, hot tub, bike hire, massage studio, and the hotel’s Jimmy Cook's Kitchen restaurant and Café & Bar. The hotel also offers a courtesy shuttle to downtown Paihia.